Two types of sleep apnea treatments were studied for their effects on blood pressure in patients. Continuous positive airway pressure (CPAP) devices are the best way to treat sleep apena for those who suffer from the disorder, but new research says the mandibular advancement devices (MADs) have a similar effect on the blood pressure when used, according to a story on medscape.com. It is estimated that 25 million adults in the United States have sleep apnea, a disorder in which a person stops breathing while asleep, or their breathing become so shallow, the oxygen in the blood drops to unhealthy levels. Sleep apnea is associated with cardiovascular impairment and can lead to heart attacks and strokes, if not treated. The most common way to treat sleep apnea is with the CPAP, which sends a continuous stream of air down the throat of the sufferer, forcing the airway open. However, many sleep apnea patients cannot tolerate the sometimes bulky mask and tubing required by the device, and find it difficult still to get a good night’s sleep. A MAD is almost like wearing a brace in the mouth that moves the lower jaw forward and increases the room in the back of the throat. For many patients, it is easier to use and less disturbing to their sleep. A team or researchers from University Hospital Zurich, in Switzerland, undertook a meta-analysis of studies comparing the CPAP and MAD devices and found that the amount of blood pressure reduction while using either device was similar. The analysis, which involved 4,888 patients in 51 different studies, did reveal that using a CPAP for a longer period of time had an advantage over the MAD, however. 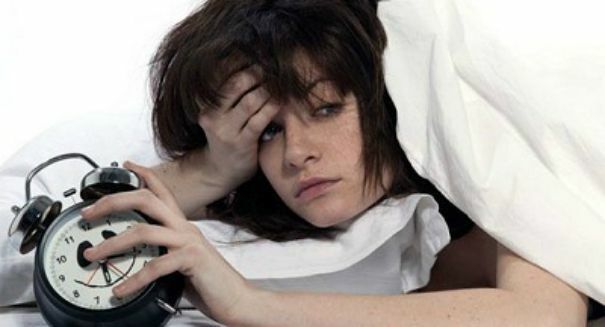 An improvement in daytime sleepiness was noted for both device users as well. Dr. Malcom Kohler, senior author for the team, said the two devices were equal for someone who only wears the devices for a few hours per night, but the CPAP was more beneficial to those who kept the device on all night long. His team would recommend that for those who can handle the CPAP, that would be the preferred treatment, but for those having difficulty with the mask, the MAD could be an acceptable alternative. The MAD could also be used for short periods by CPAP users when traveling or camping, since it was easier to carry and did not require electricity to use. Dr. Kohler added he believes the new data will lead to an increase in the number of MAD users, and that currently about 95 percent of sleep apnea patients using a device are using the CPAP. The team’s findings were published in the December 1 issue of the Journal of the American Medical Association.